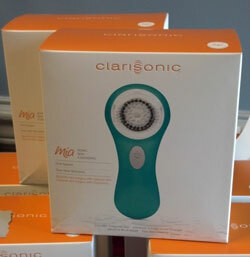 :: Win a Clarisonic Mia! 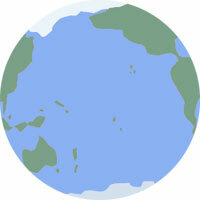 Wow - 2013 is here and we all hopefully managed to survive the holidays and the ending of the world. So it's time for a new year! Just a reminder you have a few more days to get me your "Reversed Bucket List" and 5 items from your "Bucket List". See all the info below for the contest and how to win a Clarisonic Mia! That's a $120 value, people! The Raspberry Moon Family is going to be adding several new family members this year! Just like last year, it seems to be exploding with little germ catchers. So to help out all you new Moms, here is a fab new business started by one of my clients and friends, Laura Hodges. Let her help you make the transition to Motherhood as easy as possible - www.needs4newmoms.com is here to help with Infant CPR Classes, Lactation Consultations (yes believe it or not the baby and Mom don't always get the hang of this from the start), Day and Night Nursing, and light housekeeping. You can purchase individual services or packages for your loved ones. What a great baby gift! I mean really, how many outfits can a baby wear? Read tips from Laura later in this newsletter. The cut off date for me to receive your list will be January 25th - just because it is my Birthday so that gives you plenty of time to write it all down. So pull out your iPad, laptop, smartphone, or just a simple pen and paper, take a deep breath and write down your achievements and what you still want to accomplish. Send your answers to us via email or on Facebook. Just as you guys are working on your goals, bucket list, reversed bucket list, intentions or whatever you want to call them, so have I. My schedule will be changing a little; hopefully this will allow easier scheduling for some of you and it will also help me with my bucket list! I am going to Ecuador for the month of July to learn to teach English as a second language. I am going through my friend Red (aka Kim Carroll with English for Life). Sure I could take the class here in Greenville, but doesn't it sound more fun to do it in Ecuador?! Plus I get to practice Spanish, go someplace new, bring back fabulous gift ideas for the shop, and experience Quito, Ecuador which is on National Geographic's best places to travel in 2013. Most likely I will be gone June 29 - August 5. I have to make a stop in PA for my grandparents' 60th Wedding Anniversary! How cool is that? And since Red and I turn 40 this year, we thought, "Hey, why don't we hike Machu Picchu?" SO... I will be gone sometime in September as well. I am going to try out the following schedule to see how it works; some months might be subject to change but generally I will be adding the Sunday and Monday of the 2nd and 4th weeks of the month. This should help some of my spa people as well since most of us are off on Mondays. Please feel free to spread the word about the new schedule. Love you guys and can't wait to see what this new year has in store. There will be lots of traveling but I will be doing my best as always to fit everyone in. Just a reminder if you need to reschedule or cancel your appointment please do so with at least 24 hours notice so that we may allow another person waiting to come in earlier - or hey I get lunch or maybe get to take an extra Zumba or Yoga class! Successful breastfeeding starts in the first five minutes after birth. Through prenatal education, confidence is achieved. According to the American Academy of Pediatrics, it is recommended that one breastfeed for 12 months or longer. The cost of formula alone can be between $1000 and $2500 a year depending upon the brand. Needs for New Moms provides services to help ease the transition of welcoming your baby into your home. Whether it be a Baby Nurse to assist with care or Lactation support, Needs for New Moms has professionally trained service providers that are Registered Nurses. In-home Lactation Classes and Infant CPR classes are taught at your convenience. And if you would like to come home to a clean house, let us be the ones to provide that cleaning service. Visit our website: www.needsfornewmoms.com Gift certificates available online make a great gift for any expectant mom! 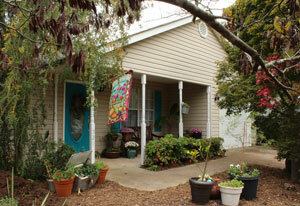 Contact Laura Hodges, RN and Owner at 864-373-9595 if you have any questions or would like to schedule a service. Our toner combines the curative powers of Colloidal Silver with the soothing properties of Lavender to keep your soft, healthy and radiant. Colloidal Silver’s germ-fighting properties help heal acne prone skin or skin suffering from cuts or burns. Our uncommonly small silver micro-particles are as low as .0008 microns. That's a fraction of a single micron compared to other types which can contain silver particles as large as 20 microns (or even larger) You'll see why micro-particle colloidal silver is the very best there is for a healthy complexion. Smaller particles mean your body can absorb and utilize up to 99% of the colloidal silver for instant healing. For all skin types. And since this is all about babies this month, try it out on diaper rashes. 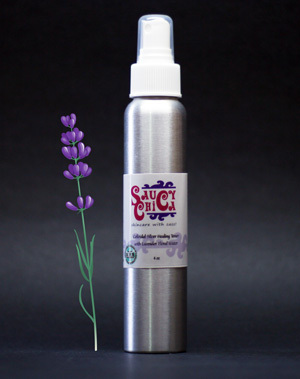 We will actually be switching to this for our post waxing healing spray. Product Directions: After cleansing, apply toner with cotton pad to remove residue from cleanser, makeup or hard water. Or you can simply spray directly on your skin or hands and then pat. Follow with appropriate protective treatment for skin type. Product Ingredients: Distilled Water with traces of silver, Lavender Floral Water (Hydrosol), Cucurbita Pepso Seed Extract (Pumpkin Seed Peptide). Regularly $24, 20% off through the month of January! Looks like I will be here the whole month of January!